Please register for free on our Eventbrite page. 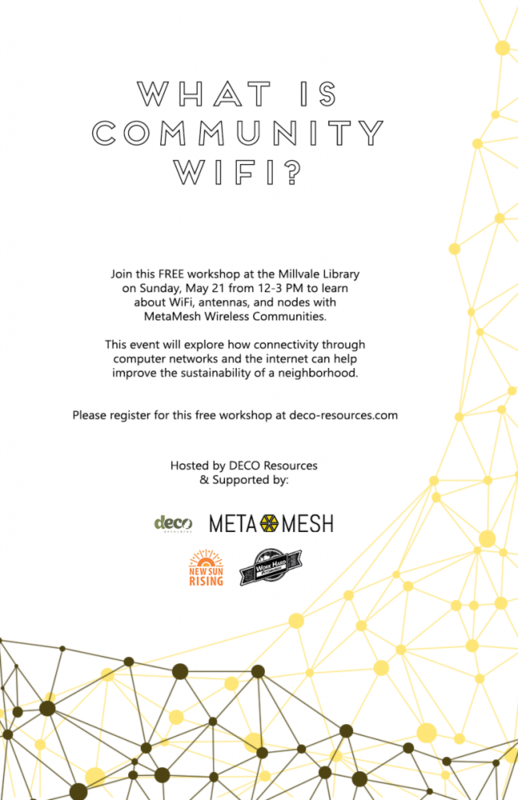 This month, we are teaming up with Meta Mesh Wireless Communities to explore how free public networking over WiFi can help connect people and improve the sustainability and resiliency of our neighborhoods. This workshop will introduce you to technology like routers, antennas, and solar power backup systems. Register for free here.